The Nelson 65 design features a repeated white motif print of Japanese pagodas, cranes and bonsai trees for a cute sleep essential. This subtle print features across our navy cotton batiste fabric for a modern, nocturnal essential. 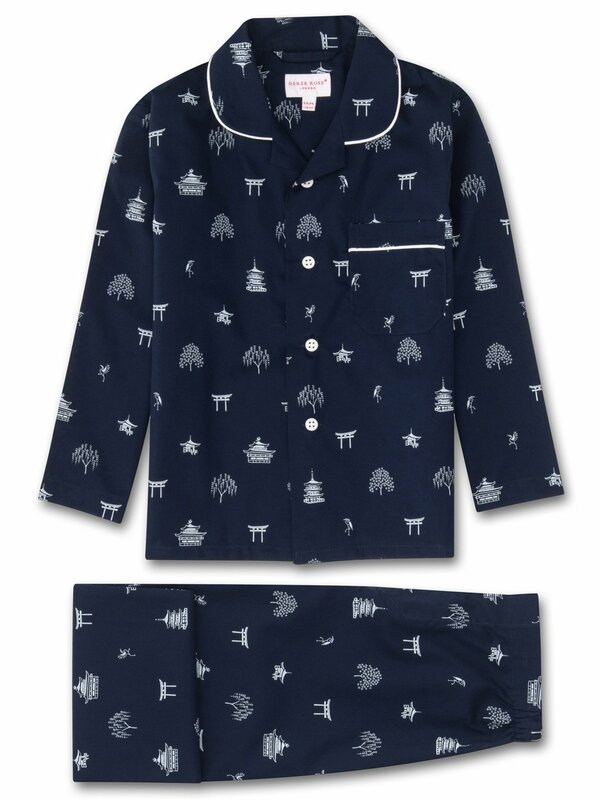 Crafted to keep your little ones looking their best, whether it be for winding down before bed or for breakfast around the table in the morning - we've kept things simple with our kids' pajamas, with a smart rounded collar with revers, one breast pocket and plain hems on the sleeves. 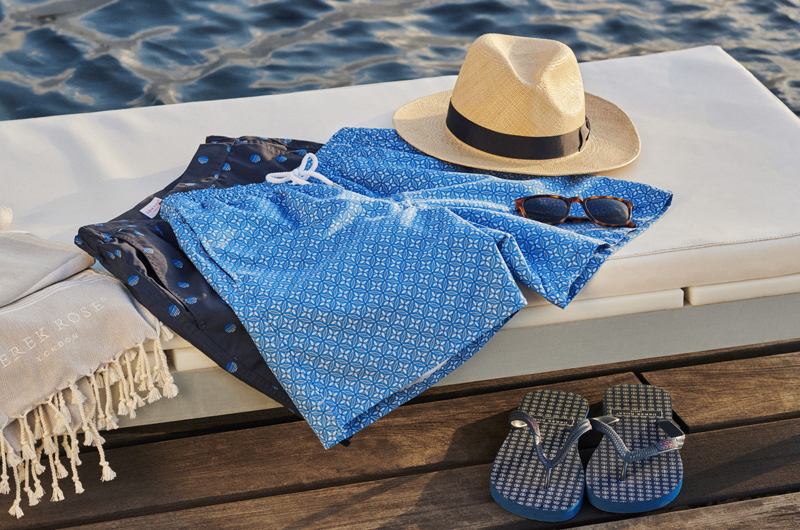 The pajama top is fastened with buttons and piped in complementary white, while the pants have an elasticated waist for comfort and a sealed fly.